The flourishing Internet gambling market of New Jersey could get even larger. 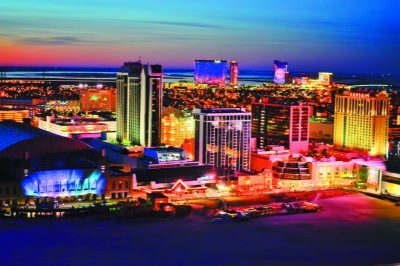 Two new Atlantic City casinos which are set to open in 2018 have been considering whether to offer online gambling services to their customers. The owners of the former Revel Casino Resort, now Ocean Resort Casino, and the ones of the former Taj Mahal, now Hard Rock Hotel & Casino, filed applications for operating licenses that would provide them with the opportunity to offer online gambling services to local residents. 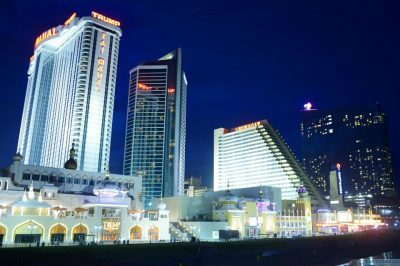 This basically means that in case that the applications are greenlighted by the state of New Jersey, seven Atlantic City casinos would be granted with the chance to provide Internet gambling. The applications for permission to conduct online gambling operations within the state was confirmed yesterday by a spokeswoman of the New Jersey Division of Gaming Enforcement. Such gambling activities would be available only to individuals who are within the state’s borders. For the time being, online gambling is legally allowed in the states of Nevada, New Jersey and Delaware. Currently, three license holders operate under the Internet gambling license of the Golden Nugget. They posted an excellent performance in February 2017, when a gross gaming revenue of over $5 million was generated by the three of them together for the first time. Earlier this month, AC Ocean Walk which currently owns the Ocean Resort Casino revealed that the venue is planned to feature 2,200 slot machines and 100 table games. The company further revealed that it is also willing to offer the best sports book on the market in case that the US Supreme Court rules in favour of the state’s sports betting legal battle. Currently, only four US states, including Nevada, Delaware, Oregon and Montana, are allowed to offer sports betting services. A court’s ruling on the case is expected by June 2018. Last week, it also became clear that the British gambling technology giant GAN has inked a multi-year contract with AC Ocean Walk to provide online gambling services from the second half of 2018. On the other hand, it is the Hard Rock Hotel & Casino which is scheduled to open by Memorial Day weekend in 2018, following a grand refurbishment process estimated to $500 million. The price which was initially announced by the operator in 2017 amounted to $375 million. Currently, the state of New Jersey features 23 approved Internet gambling sites. In addition, online gambling has been considered as one of the most prominent aspects of the casino market in Atlantic City. According to recent reports, the online gambling revenue generated in the state of New Jersey in 2017 amounted to $245 million, marking an approximately 25% increase in comparison to the previous year. According to experts, this amounts to over 9% of the total gambling revenue which was generated by the casinos in Atlantic City for the year 2017.